Here comes July! It's time for another Papertrey Senior Team Design post. 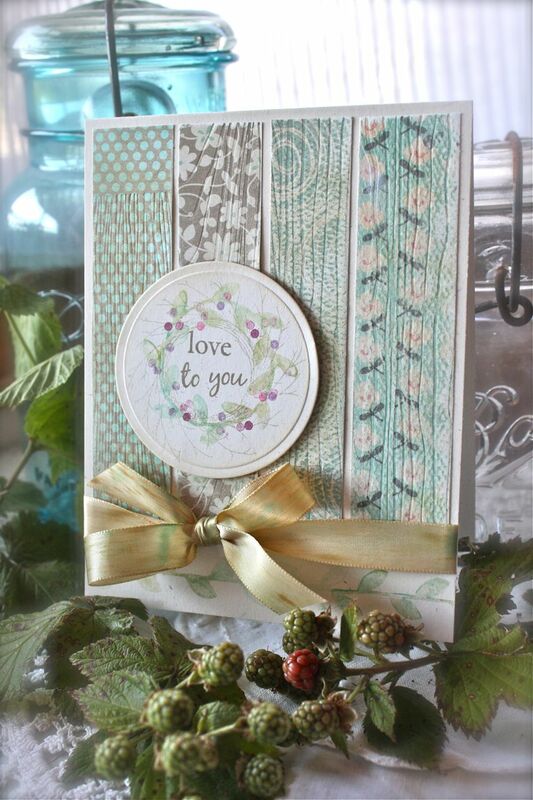 This month we're featuring Heather Nichols' stamp set called Rustic Branches. 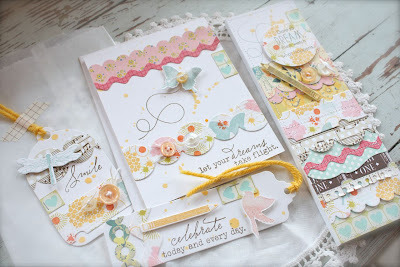 It's still a set that I reach for over and over again...and now it's fun to find new inspiration for some of these oldie but goody stamp sets. 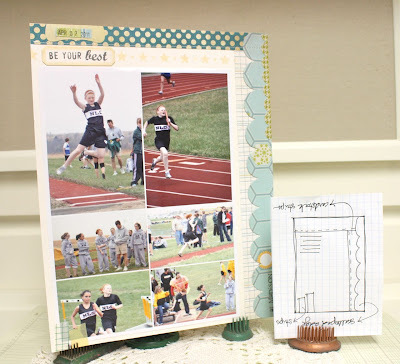 My first bits of inspiration came from some photos I pinned to my Pinterest site. 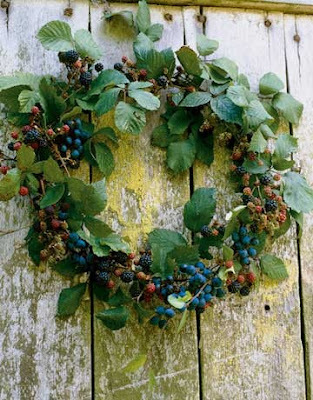 A simple search for berry wreaths brought me to these three favorites. They all are kind of rustic in nature and coincidentally all the wreaths have painted white washed/wood backgrounds. 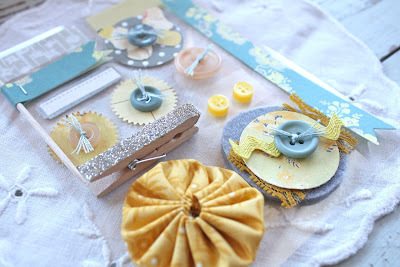 I loved this too so I decided to incorporate this look into my project for today. My other source of inspiration for my project today came from a little nature walk to the timber behind our house. 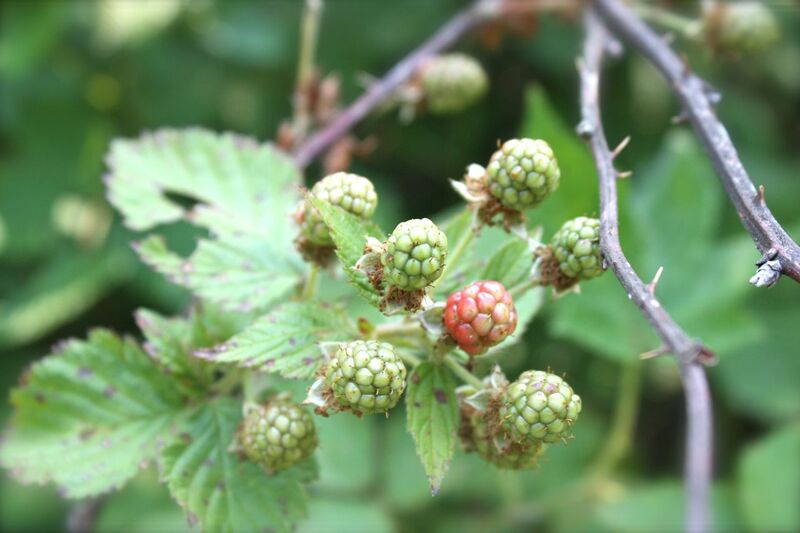 The reds discovered a huge thicket of blackberries a few years back and they let me know just this week that the berries are just starting to ripen up. Those pretty, soft hints of pinks and purples and reds were the perfect, muted colors I was looking for. Now on to my project for today. I have two fun techniques that I want to share with you today that I used on my card. First up I wanted to recreate that wonderful, white washed barn wood look. 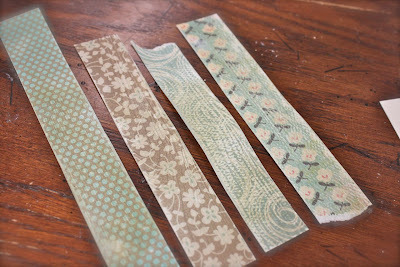 To do this I cut 4 strips of patterned paper about 1" wide and ran them my die cutting machine using the Woodgrain Impression Plate. I then sanded over the tops of the strips, used a little tea dye ink and then smudged on some Fresh Snow ink. The more sanding you do, the more muted the colors become. 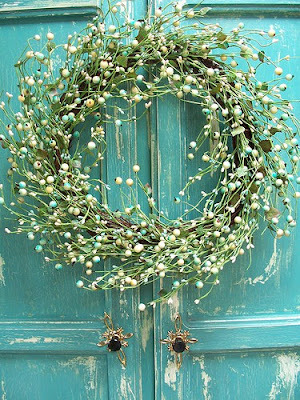 The second technique I used was to create some wreaths with muted tones. 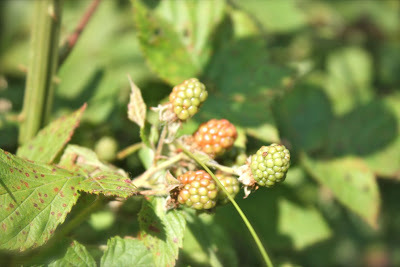 I was looking for those pretty pinks, purples and reds that you see with berries before they ripen to a deeper color. 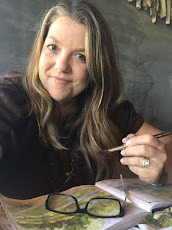 I happened across this great video from Shari Carroll where she rubs 3 colors of ink onto a craft mat, squishes her stamp into the ink, then spritzes with water before she stamped the images onto cardstock. It was the perfect inking technique I was looking for to get the muted, soft colors for the wreath. I also over stamped the twig wreath from Wreath For All Seasons onto the other wreaths. Before assembling my card I spritzed some Fine Linen ribbon with spray inks and water to get a worn, rustic look. A little more stamping of the vine image onto the main card base finishes off the card front. 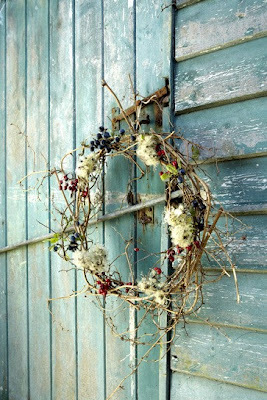 My wreath image was stamped with words from Rustic Branches and then was cut with a circle Nestabilities die. Here you can see my finished card. At this angle you can see the wood grain impression and sanding a bit better. Hello juicy little berry. And here you can zoom in on the wreath image. Very watercolor looking with soft, muted colors. TGIF friends! So glad you stopped by today. Today I am sharing my Art Quilt Block #2 with you. You can find my first Art Quilt Block at this post, along with links to Melissa's quilt block. She and I are taking on this venture this summer. 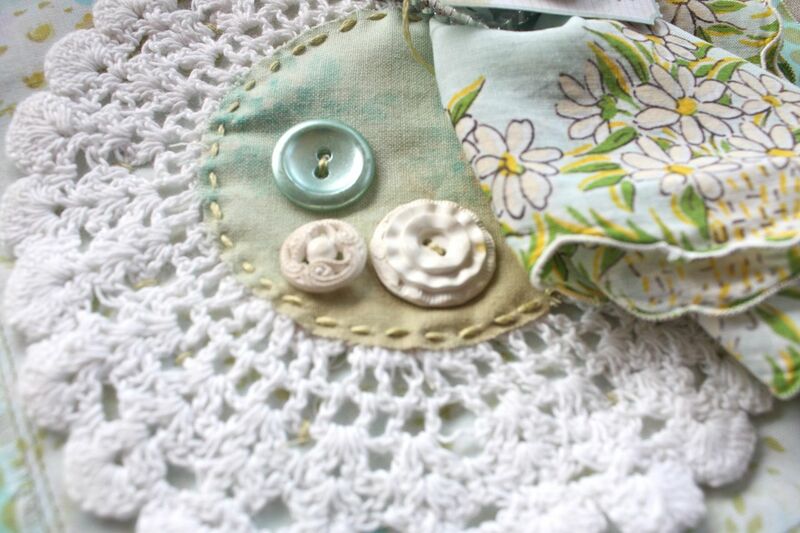 Just creating as we go along.....adding fabric and little snippets and findings here and there. My blocks measure 8.5" square and I intend to make some sort of wall hanging with mine,using linen for the quilt base. 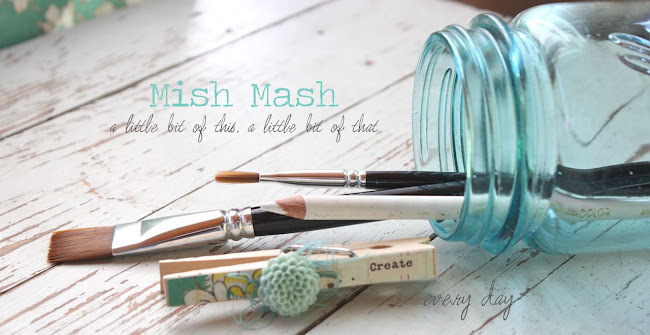 I've added lots of wonderful snippets that Melissa sent me. We swapped some supplies just for fun. Come to think of it as I look at this block, everything here was sent to me from Melissa except the base fabric, linen colored crotched trim and my hand cut doily piece. That girl really knows what I like! Hand stitching with little *x's* was done this time on the pom pom trim. And more *x's* on the paper accent. The little doily piece was hand cut from a tattered table doily. I love this creative process. No pre-planning required, just piece it together as I go. This block took less than 30 minutes to assemble, not including the hand stitching. On each piece I'm planning to do some hand embroidery....or maybe enlist Jordan to help out since she is so good at it. I'm saving that work til the end because I'm not sure quite yet what words or little images I want to use. I think a heart would be good on this block, to tie in with the words on the paper piece. Hope you enjoy! Have you done any sewing this summer? We're close to getting Jordan's second quilt top finished. 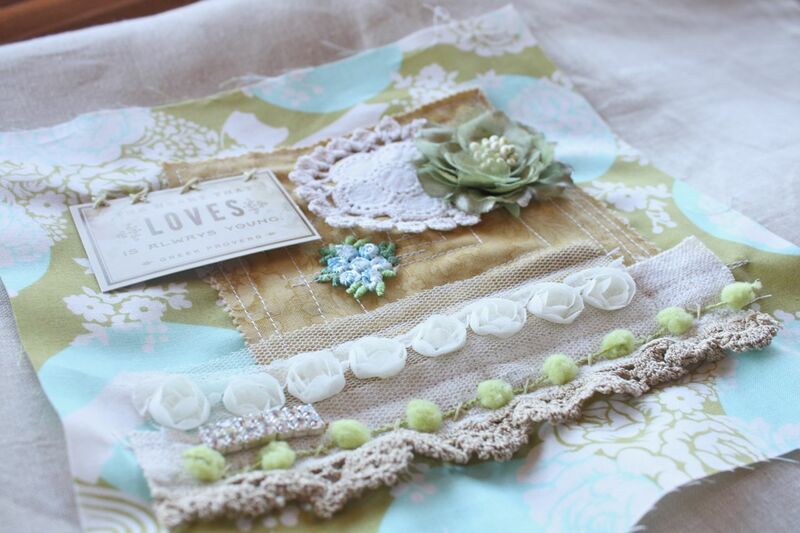 She's using vintage sheets and fabric, all from thrift stores. The little stinker is on her second quilt and I don't have ONE done yet! Off to ballgames this weekend. 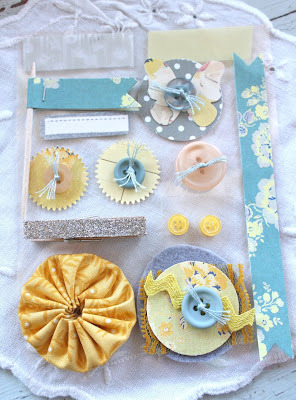 My newest crafty kit will be up in my Etsy shop shortly. 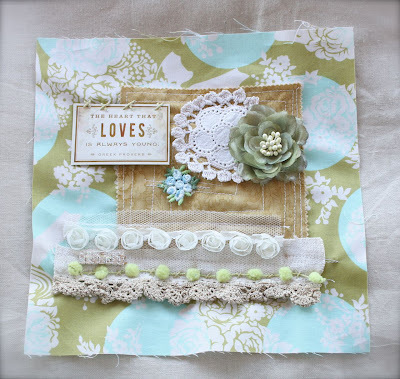 This kit features some of my favorite new papers from Sassafras' Sunshine Broadcast papers. 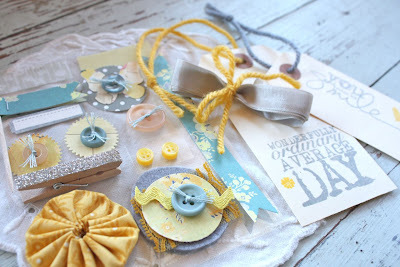 I'm loving this color combo lately of muted mustard yellows with grayish/blues. The kit will work well with cardmaking, scrapbooking, gift wrap, tags, etc. The kit is loaded with fun, handmade embellishments like the pennant flag, punched butterfly circle doodad, tied buttons, strips of washi tape, a large felt circle doodad, a glittered clothespin and some hand sewn yo-yo's that Jordan whipped up for me. 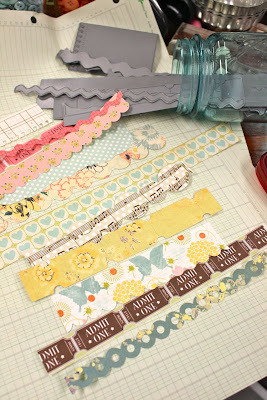 Lots of dimensional goodness to add a homespun look to your projects. I'm currently working on a week of my Project Life where I plan to use these embellishments on the journaling cards + on a few more extra layouts I have for this particular week. 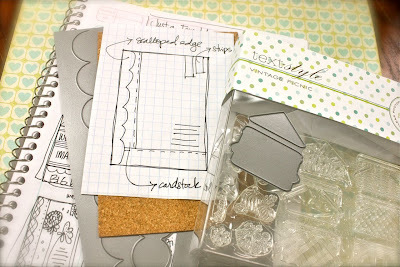 I'll be updating the blog soon with more Project Life layouts + maybe a few projects made with any left over kit items. Enjoy! 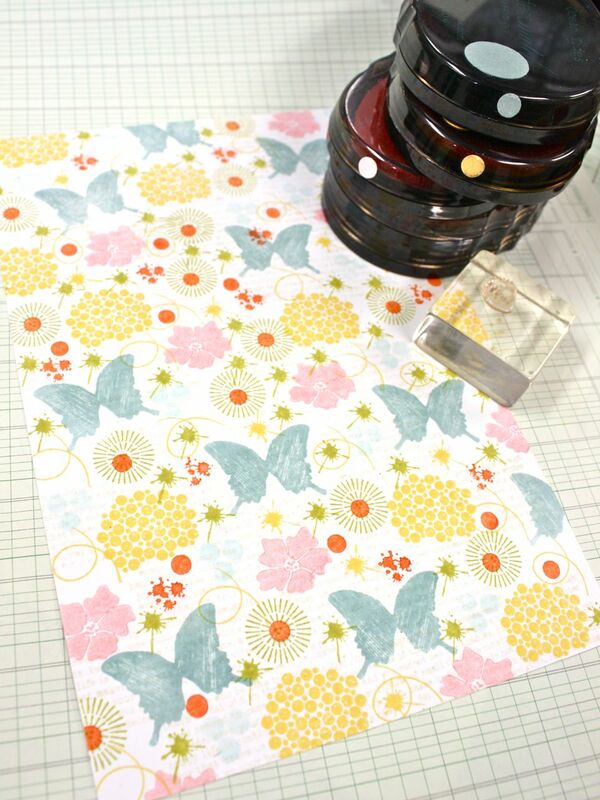 If you like the look of the Sassafras Sunshine Broadcast papers, you can find more from the line at Two Peas here. I think my favorite paper from the line is this one. I'm also loving the reverse side of this great polka dot with the ledger type lines. Hi there friends. Hope you had a great weekend. We are winding down from our 12 girl camp out that ended up being a *camp in* due to stormy weather. We are all ready for bed early!! I wanted to give you an update on the shipping status from the US to Canada. At this time, my local post office is not accepting any packages that are to be mailed to Canada due to the strike issues in Canada. Any new items items added to my Etsy shop will not have a shipping option for Canada until the shipping issues are resolved....hopefully soon for all my Canadian friends. Older items in my shop still have the option to ship to Canada. I am going to leave those items in the shop as they are but please note that all orders to Canada will be held until I hear that the shipping issues are resolved. Sorry for any delays this may cause. Hey there Friday Friends. This afternoon I'd like to show you my first completed Art Quilt Block. 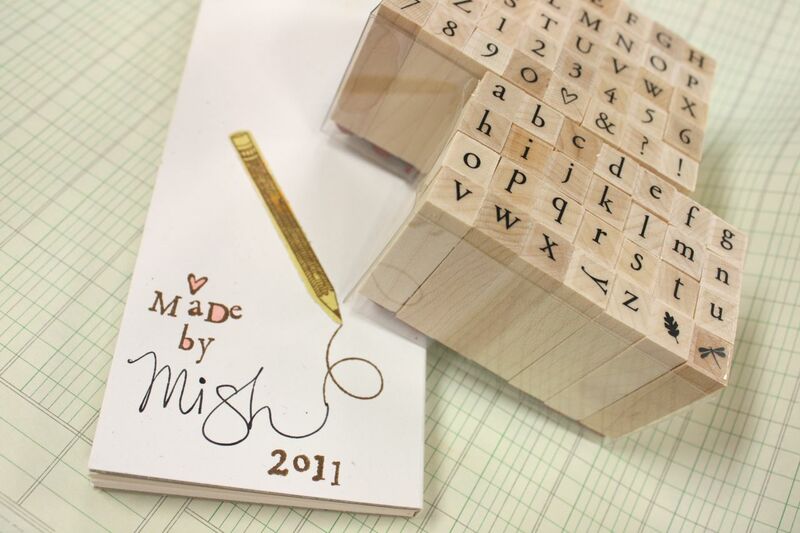 Melissa Phillips and I are taking on this fun venture this summer and we're sharing out finished blocks as we go along. 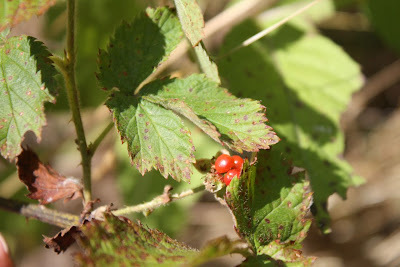 You can read my first post that talks more about the inspiration for the art quilts here. And you can see Melissa's beautiful art block here. So beautiful. And here's my first art quilt block. I decided to make my blocks mostly out of fabric so that I can turn my completed blocks into an actual quilt to hang on the wall. My block sizes are 8.5" square. 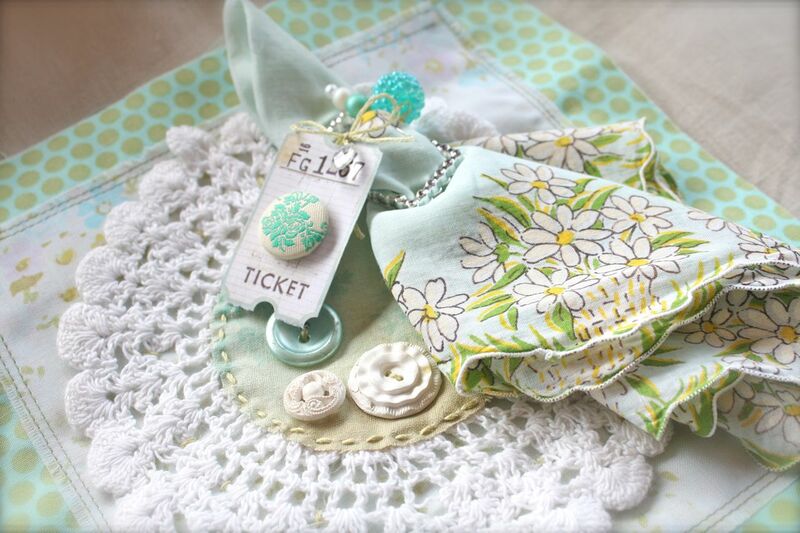 A few items that I want to have present on each art block are: a doily or piece of lace or trim of some sort....vintage white buttons....hand stitching and I'll probably even add some embroidered words at some point to all of my blocks...and new and old fabrics. 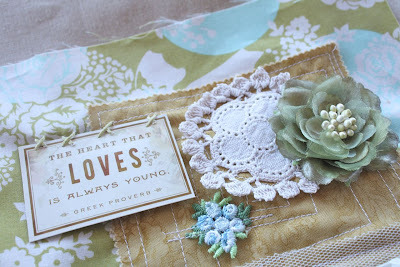 I have decided that I love old and new fabrics so much that I can choose between them for projects. 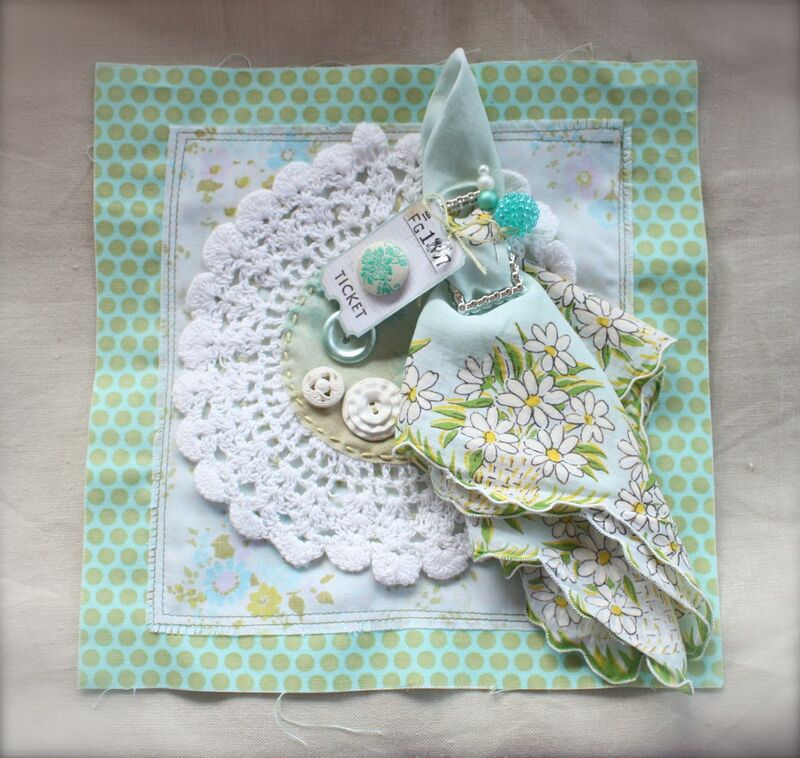 On this block I used a new polka dot fabric but then added a floral piece of vintage sheet, an old doily and a vintage hankie. I love the idea that I'm adding something new that represents my day and age to something old that perhaps my grandmother would have sewn with. I love that combo. Melissa sent me the beautiful silver buckle and some beaded stick pins that I knew would be perfect for my vintage hankie. 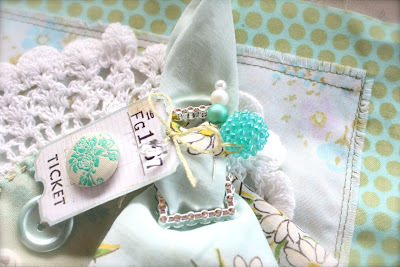 I tied on a paper ticket embellished with a fabric covered button. I think that my paper goodies will be attached on tickets or tags of some sort just in case I decide to go with all fabric/sewn pieces at some point. When I'm all done with my art quilt blocks I'm going to use some beautiful linen fabric that I found at the thrift shop as the in between borders. It's so soft and pretty and makes a beautiful backdrop for the colorful blocks. Hope you enjoy! If you have any ideas to share about what I could add to my art block pieces, I'm all ears. Just leave your message in the comments section. Thanks for stopping by. When I think of what kind of newsletter post I want to do, I often try to think up new and creative ideas. Some new technique to show. A new way to use your products. Something new, and fresh, and innovative. 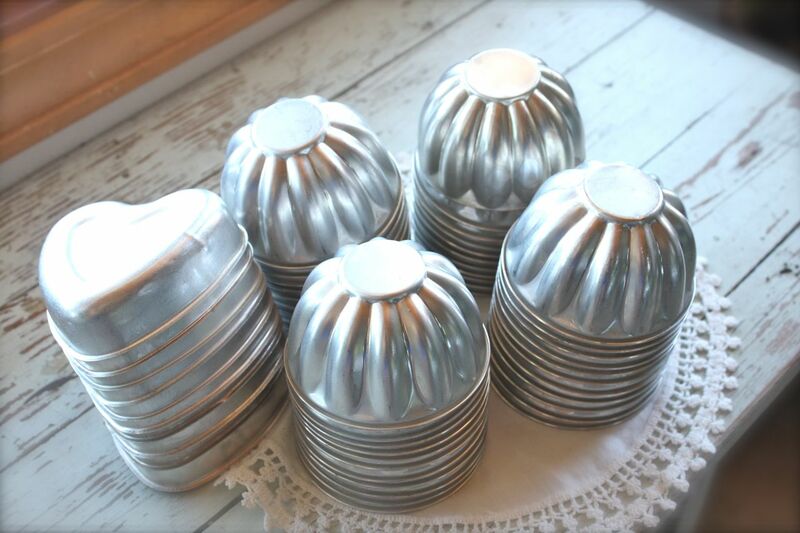 Aside from all the fun stamps and tools that we have in our crafty spaces, I think we often overlook a very important tool that doesn't cost a thing. It's a sketch. A sketch can provide oodles of new ideas if you just think outside the box a little. Let your creativity blossom and interpret the sketch in different ways. 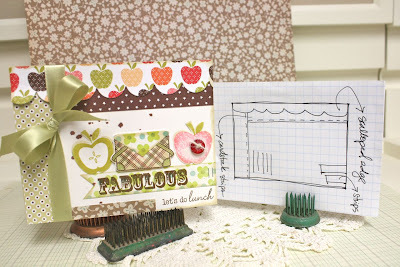 Use a sketch on a card and then try it out with a tag or a scrapbook page. Today I'll be using the single sketch below for 4 different projects. I'm also showcasing Vintage Picnic + Vintage Picnic Sentiments....a fun set that Nichole and I collaborated on a while back. 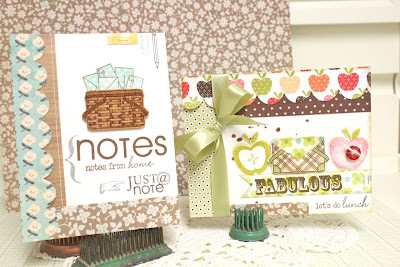 And now it's even better because this month Papertrey released the much requested Vintage Picnic Basket die. 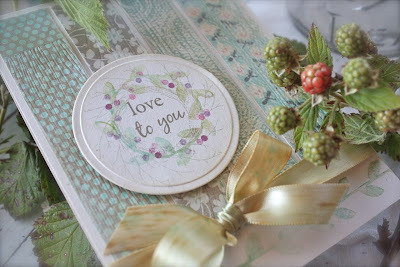 To start out I created two cards using the same basic supplies...scalloped border dies, Vintage Picnic + Vintage Picnic die, PTI sentiments + patterned papers. My first card follows the sketch pretty closely. I had a tiny version of this sketch doodled in a notebook. Many times I'll take a sketch book to bed with me at night or bring a pad of grid paper in the car with me and sketch while waiting on the reds. As you can see the elements on my card do not vary much from the sketch. 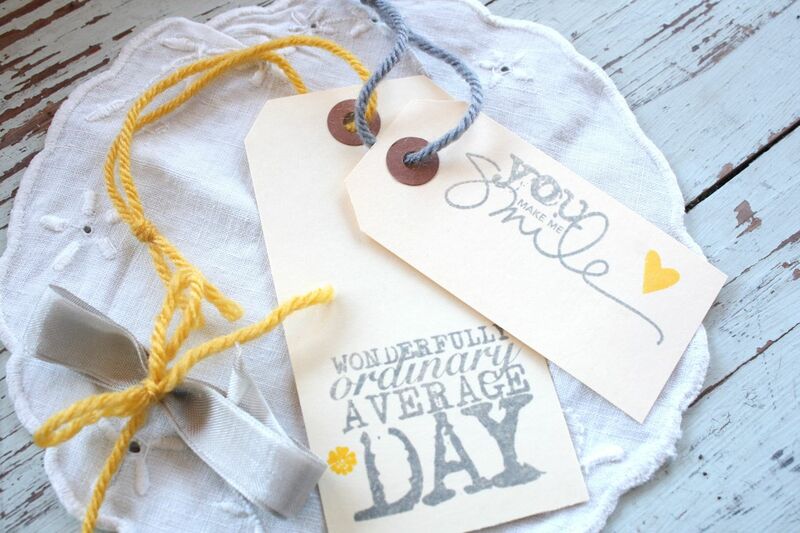 A few fun things to note are the combination of sentiments that have the words *notes* in them. I dug out my Take Note set for a few more sentiments to mix + match on my card. If you zoom in you can also see that instead of paper strips or tape I used a paperclip and pencil stamp in the upper right hand corner of my card. The idea behind a sketch is to interpret it however you wish. Follow it closely or mix things up a bit with some creativity. My second cards uses the sketch turned sideways. Same basic idea and supplies but this time I added die cut and stamped apples from Fruit Fusion: Apple along with a fun sentiment from Say It With Style. 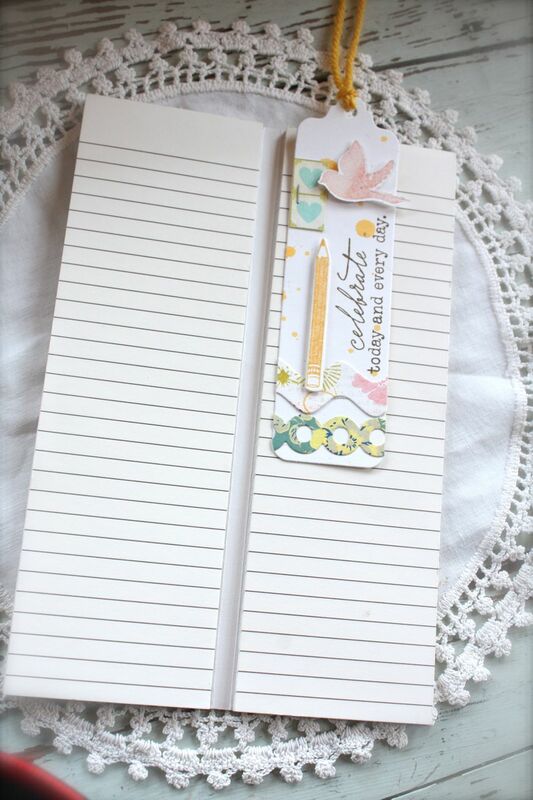 The little strips on the bottom left were replaced with a strip of patterned paper that was notched on one end + has the sentiment stamped on top. 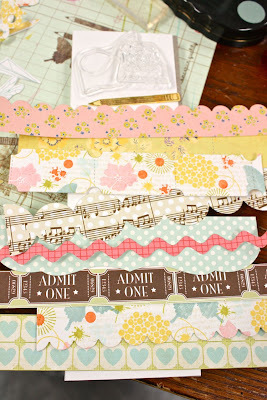 Next up I used the sketch to inspire some scrapbook pages. I'm just thinking on a bigger scale here but same basic idea. Many of my stamped, focal images are now photos. This 8.5" x 11" page uses the sketch in it's original orientation. Just a few strips of patterned paper + a scalloped border die + Piney's All-Star Team and All-Star Team Additions stamp sets. The sentiment is stamped on a Label Basics stamped die. Perfect for a page insert in my Project Life scrapbook album. And here I used sketch turned totally upside down to the do the back side of the above layout. 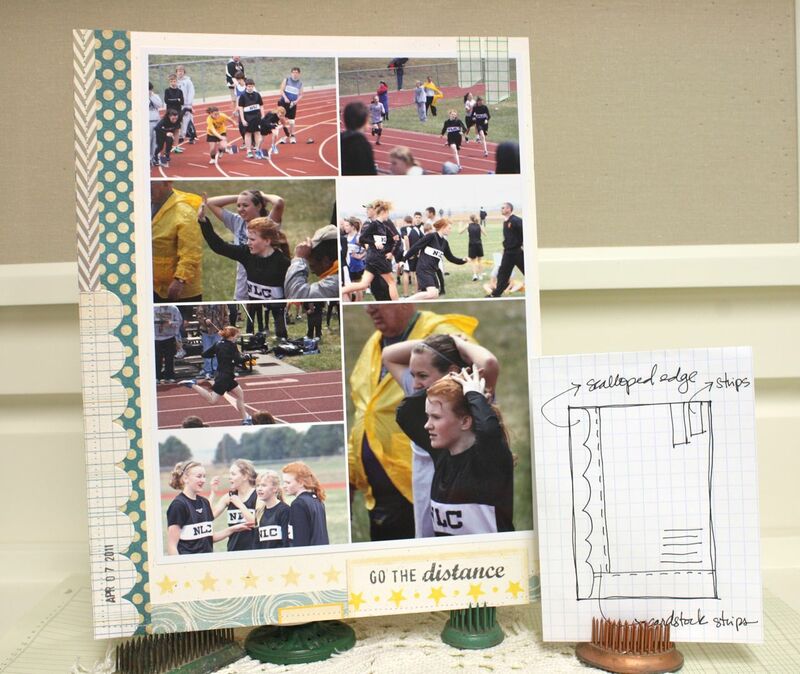 All photos in my two layouts feature the girls' track events so I wanted to keep the supplies fairly similar and easy. I used a Label Basics die to place the sentiment from All-Star Team Additions plus a few additional stars from All-Star Team. So as you can see, sketches are such a valuable tool to have on hand. I'd like to say that all my sketches are in one notebook....but they're not. I'm a notebook-aholic. I have lots and lots and I tend to just pick up the closest one and start sketching. How do I come up with sketches? Most of my card sketches are my own original ideas but I also like to find sketches from websites and blog. Magazine ads and little flyers also provide great inspiration. Sometimes I create card ideas from scrapbook layouts I see....one little thing will spark an idea. You just never know when a good sketch idea will come along. Feel you're not creative enough to make your own sketches? That's okay...there are tons of blogs and websites and books available that already have sketches. You can join in on some sketch challenges too if you're in a rut. Sometimes I feel that it's not new tools or cool, new papers that we need.....we just simply need a fun new idea. Sketch challenges are a great way to break you out of your typical mode of creating too. 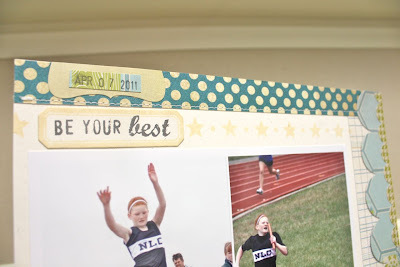 You might just find a new favorite card or scrapbook page layout to use. And remember to think outside the box. 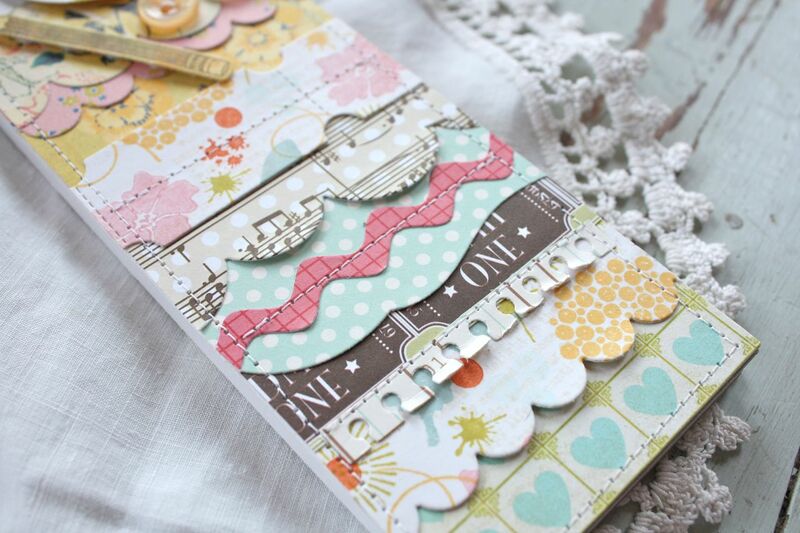 Get fun and funky with your embellishments....use only a part of the sketch if that's what you like. Rotate and flip the sketches. It's all good. I hope you try out my sketch and maybe start creating your own sketch notebook if you're feeling creative. You can see a few more of my sketches at this link too. Be sure to link up your projects in my comments section. I'd love to see them. Hey there. Hope you are enjoying your day. I wanted to post a quick photo of the back cover of my notebook from this post. I like to add a *made by* sentiment to my projects, especially my notebooks. 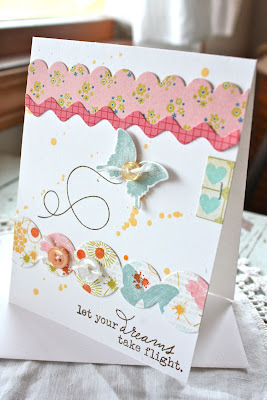 I used the pencil and squiggle line from Papertrey's Happy Trails stamp set. And for the *made by* sentiment with the cute heart I used Hero Arts' Printer's Type Alphabet and Printer's Type Lowercase Alphabet. I *love* , love, love these little wooden alphabets. To me, they're like little printer's tools.....so fun to ink up and piece together your words. I need to collect them all! Etc......if you want to add a little color to your words, fill in the letters with Copic markers like I did. You can use all one color....or use a rainbow of colors to jazz it up a bit. You can check out a few more projects where I used the Hero Arts wooden alphabets here and here, and here. Hope you enjoy! Look what I found over the weekend........more vintage tins. I kept a few unique sets for myself like squares that I've never seen before and a few heart tins. But the rest are for you. I'll be sharing them in the shop this afternoon. Happy shopping. Welcome to the second Group Post for the Papertrey Design Team + Nichole. 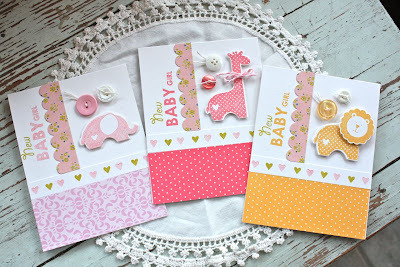 Today we'll be showcasing a new set designed by Nichole called Happy Trails. Each main image can be paired up with a swirly trail stamp to create a whimsical focal point image. And the sentiments + font combinations in this set are fabulous...some of all time favorites. 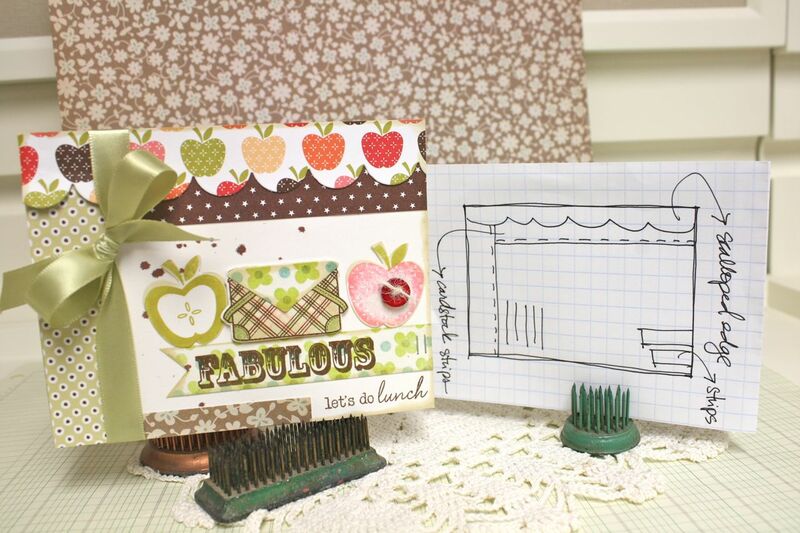 I'll also be using Nichole's new flower building set called Daydreamer. Another favorite of mine from Nichole with more great sentiments. 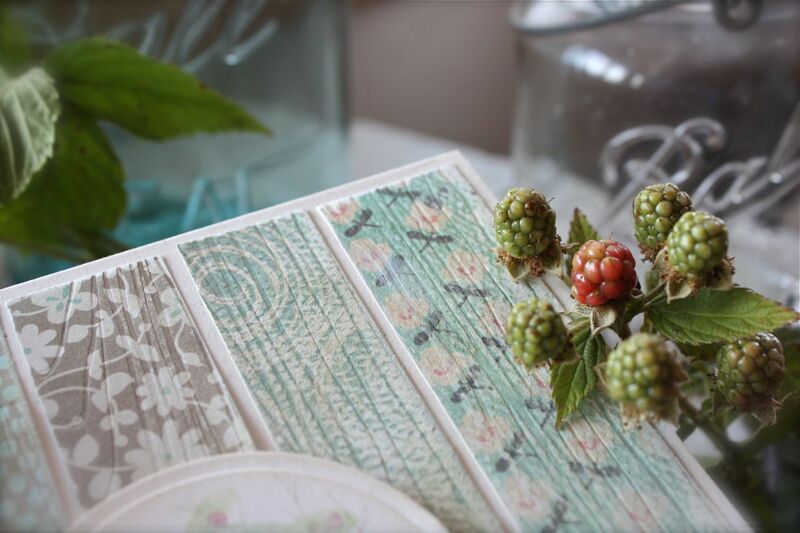 For my projects today I wanted to create a look of vintage wallpaper. I created my own using a piece of Rustic White cardstock, various PTI inks and the two stamp sets mentioned above. Zoom in for a look...I love how it turned out. On my homemade patterned paper, all the splatters are from stamp images contained in the Happy Trails stamp set. 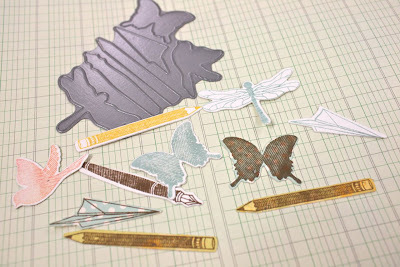 Next up I die cut and stamped images which coordinates with Happy Trails. I then selected lots of patterned papers from Papertrey + other sources (many are Sassafras). 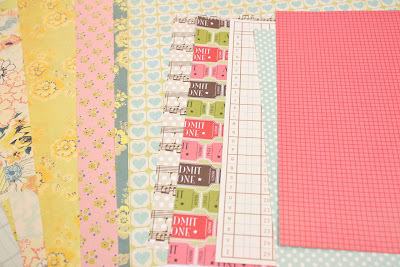 I die cut lots of strips using various Papertrey dies, including rick rack, scalloped borders, the ticket die, the eyelet lace border, the simple circles border and more. For my first project I set out to create a notebook. One of my favorite things to make. I selected about 10 die cut strips and laid them out, layering them so that the patterned edge still showed. 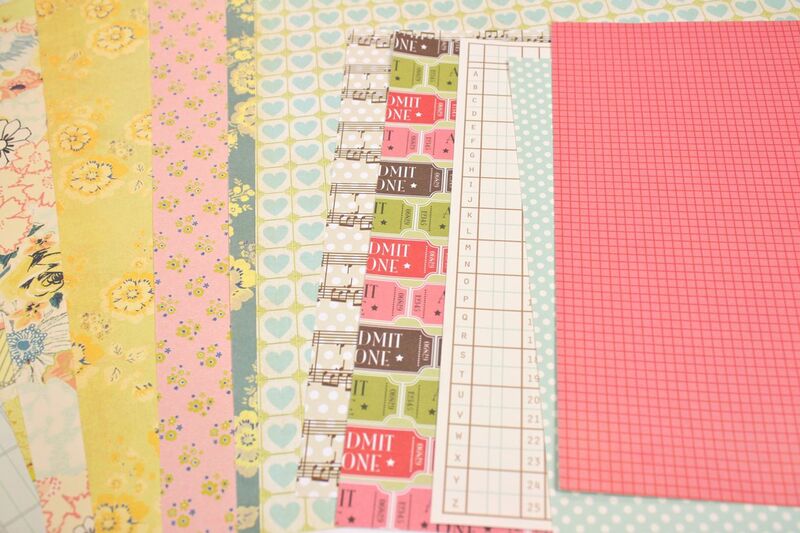 I then cut these strips to the width of my notebook cover and attached them with a tiny bit of adhesive. I then stitched about the notebook front to secure all the layers. I ended up with a somewhat ruffly, mixy matchy look. Note: Many of you ask for the measurements of my notebook covers. I don't measure. I always mark with my fingernail where I want to cut and then trim with my paper trimmer. To further embellish my notebook I just knew I had to use Nichole's nicely illustrated pencil with a squiggly line stamped in gray. You all surely know my love of all things office supply-ee, right? I adhered the pencil to my notebook with pop dots. 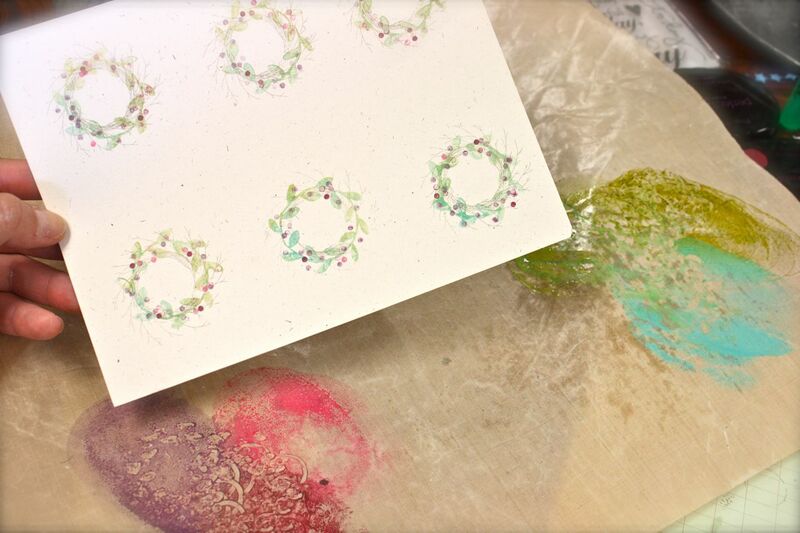 I then used a scrap of my hand stamped patterned paper to punch out a circle. 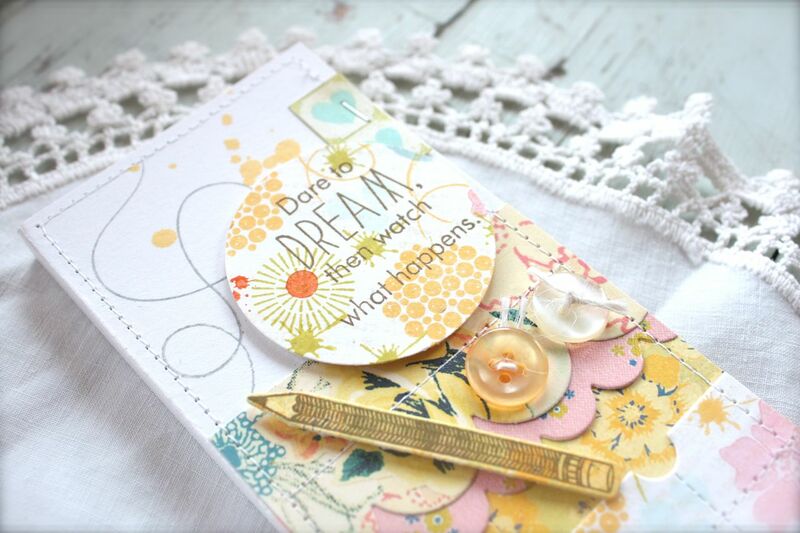 Then stamped it with a sentiment from Day Dreamer. A few Vintage Buttons tied with Rustic Cream Twine finish off the notebook front. Love. At the top of my notepad, I used spray mists to splatter droplets of ink onto the base of the notepad. Here you can see all the stitched on die cut pieces. Isn't it just fun looking? Here's the open notebook. 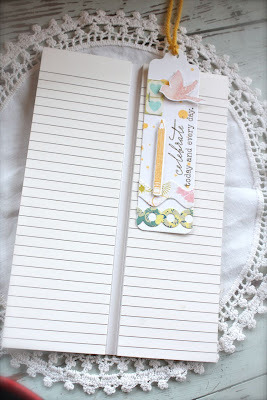 I used two Vintage Cream Notepads for this one notebook. 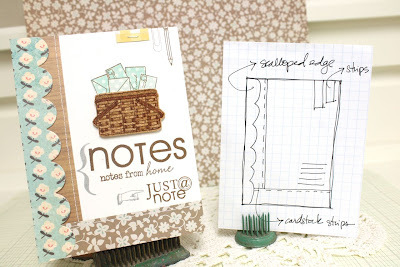 I suggested that Nichole design these notebooks when she created the Take Note stamp set with me. 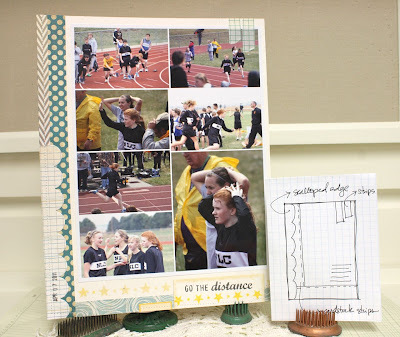 Such a fun grouping of products with endless possibilities for notebooks. Here's a card I created with more die cut strips. 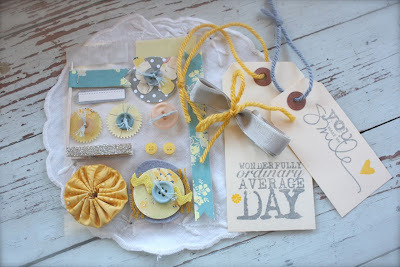 I especially love the simple circles die with the tied on buttons. A favorite accent of mine lately + I love the vintage wallpaper look I created. 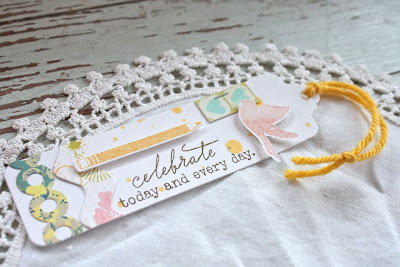 A few splatters of yellow mist ink adds a little color to the Rustic White background. If you'll notice, all of my projects today have a common theme of the stapled on hearts. I've been using a lot of Rustic White for card bases lately. The ink splatters in yellow were created with spray mist. The orange splatters on the simple circles die cut piece are stamped from images in Happy Trails. 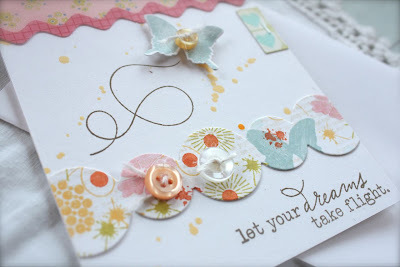 Here's a closeup of that fun simple circles border and the raised butterfly die which has been embellished with a tied Vintage Button. 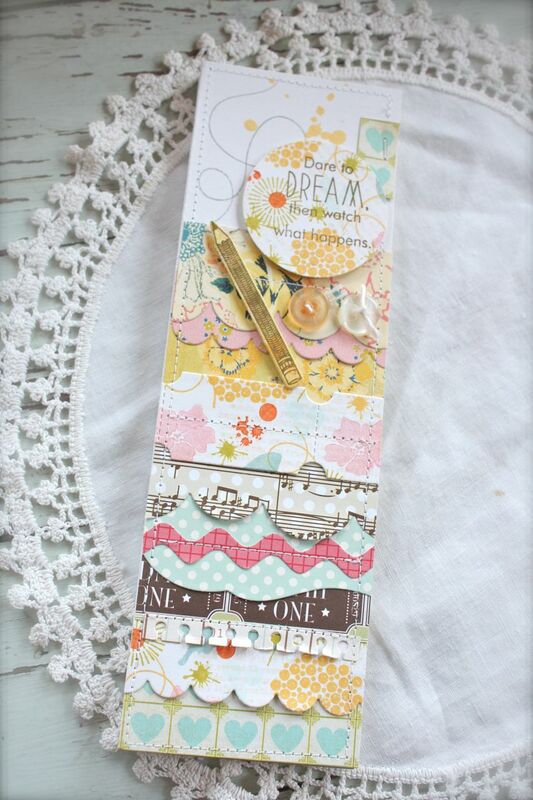 Using more scraps I created a bookmark using the bookmark die. I tied it off with yarn I found at the thrift shop. 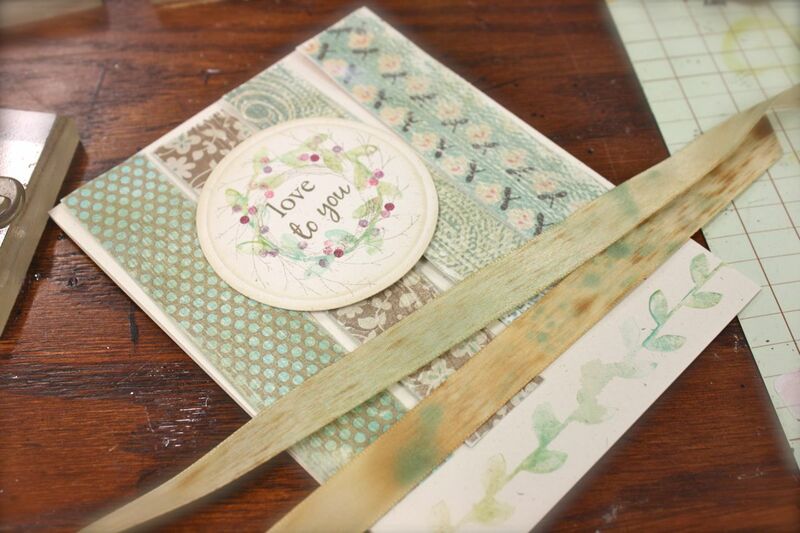 The yellow splatters on the bookmark are made with spray ink splatters. 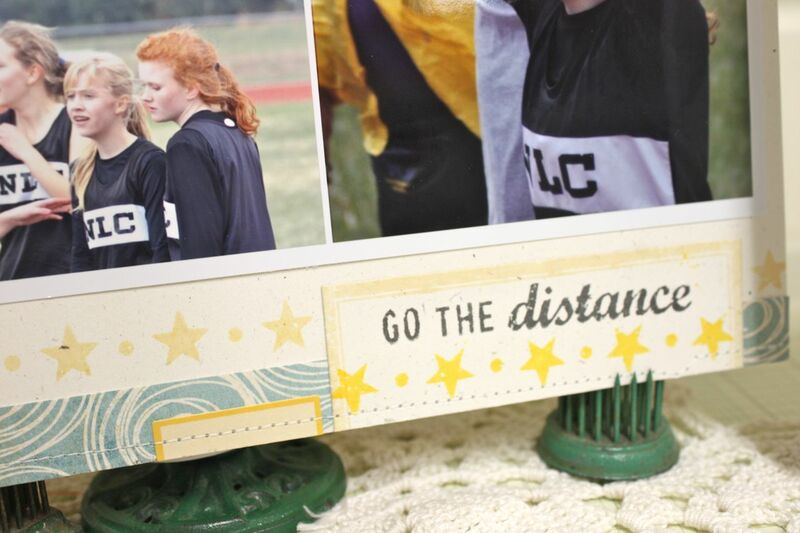 The green splatter on the rick rack border die cut are from a stamp. And here's my finished ensemble complete with gift tag and sack. 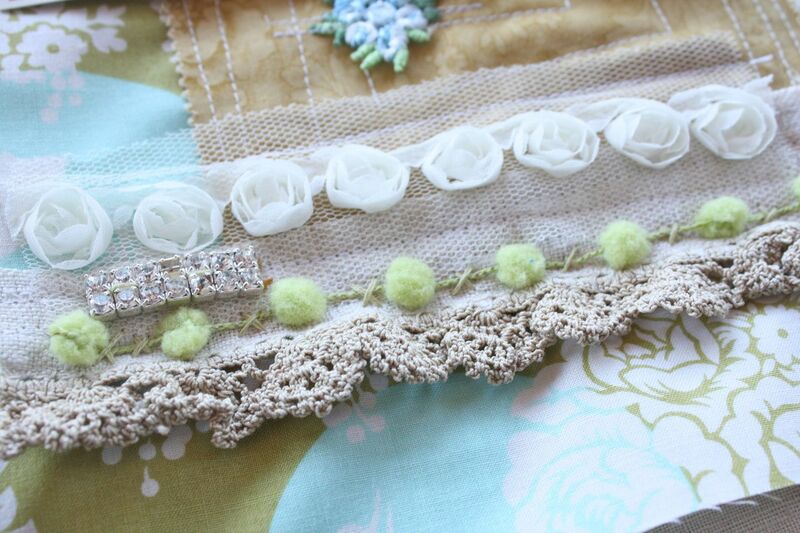 I love the soft colors and tiny little details scattered about. 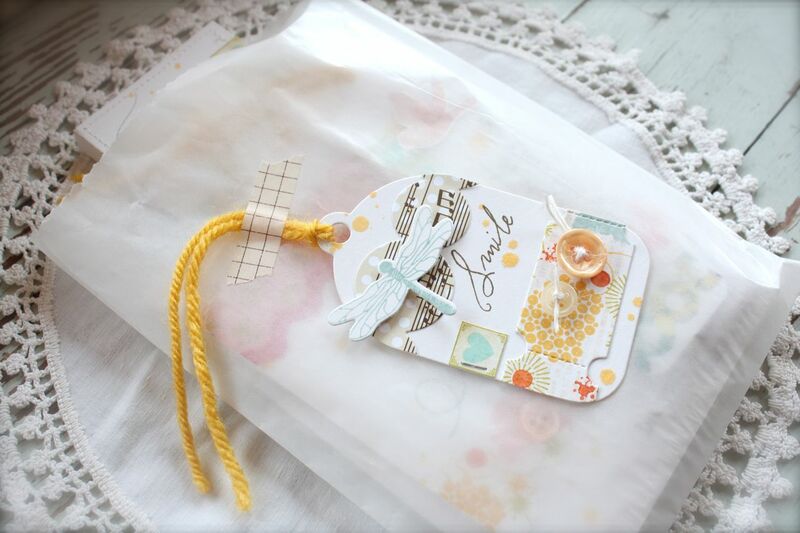 I tucked all my goodies into a large glassine bag and used Washi tape to adhere my gift tag. The yellow ink splatters on the tag are also from my spray ink misters. A great little gift set for someone special. Hope you enjoy! And be sure to check out Nichole's + the rest of the Design Team blogs here for more Happy Trails inspiration. Welcome to the first Papertrey Group Post this month. Today the Design Team + Nichole will showcasing two new baby sets coming out this month on the 15th. I'll be working with Sweet Baby today. 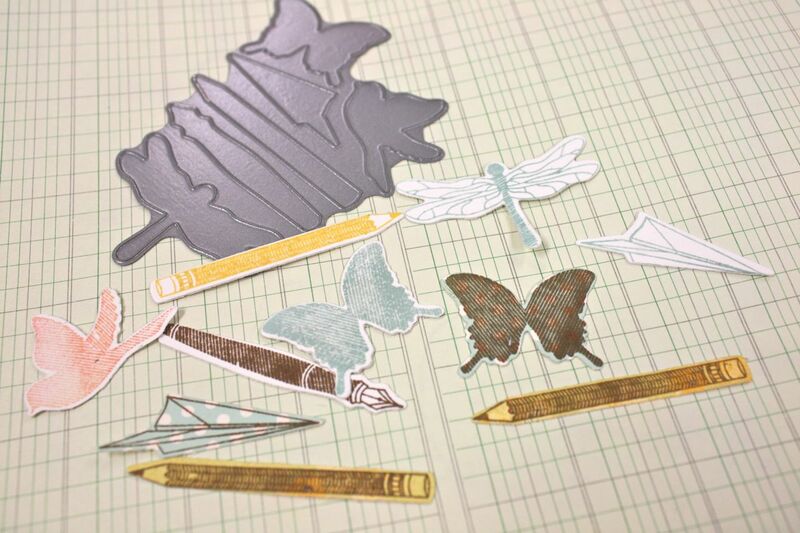 This set has the most adorable, chubby animals with coordinating die cuts. For my projects today I made a set of cards to give to the expectant mother all wrapped up with a little gift card. Below are the set of cards I created...I'll probably add 2 more of each design to round out the gift set. I used colors of Sweet Blush, Berry Sorbet and Summer Sunrise. 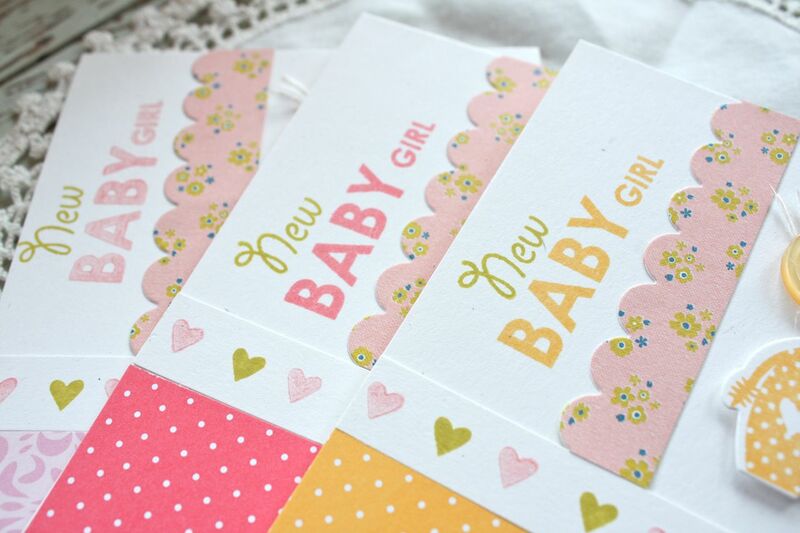 A little twist to the traditional baby pink colors we see so often on baby items. 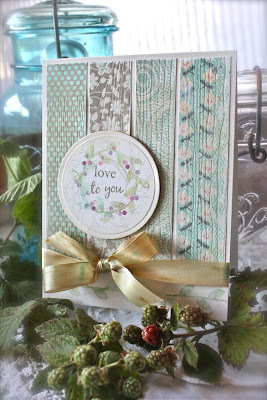 I kept the card design the same so that I could mass produce elements such as the scalloped pieces of patterned paper (Sassafras), the sentiments, and the stamped heart borders. I switched out the inks to match each main color of the card. Cohesive but a little mixy matchy. 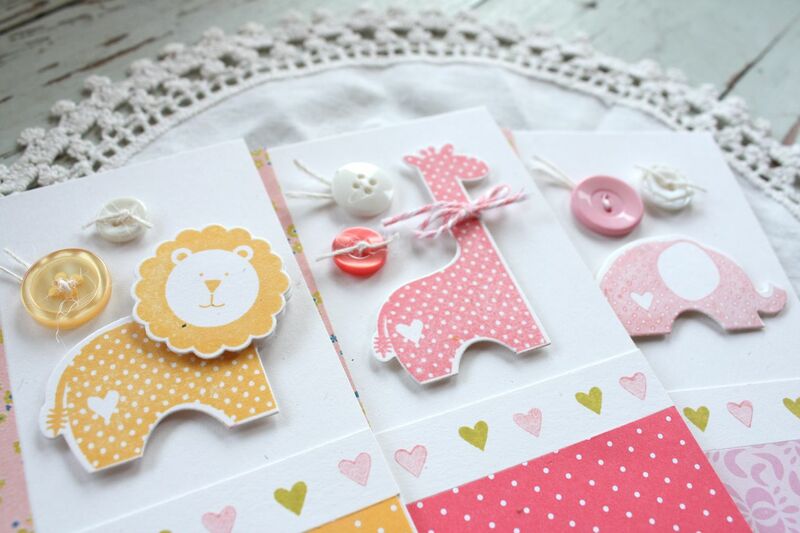 Look at these adorable die cut + stamped baby animals. So adorable and larger than I expected which I love! These look like little embellishments you'd purchase in a scrapbook store. I used Vintage Buttons to coordinate with the color of ink used on the stamped animals. The bottom strips of Bitty Dots papers also coordinate with the main color on the card. To package my cards I used a large cello bag so that the cards would peek through. To fancy up the packaging I created a large onesie that I stitched and added a few Vintage Buttons. The Onesie die is a new addition to the Shape Up Series. 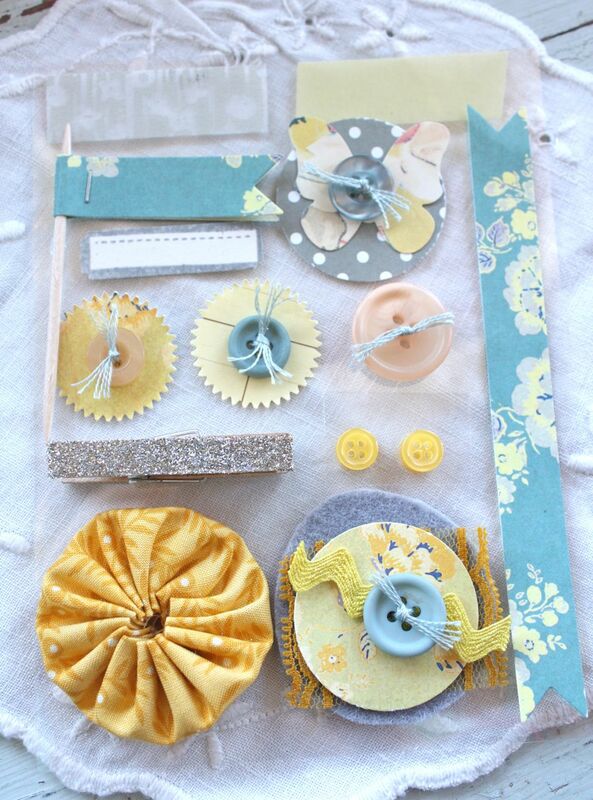 Perfect for baby or little girl projects. 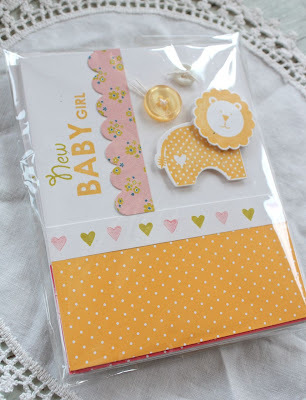 On top of the onesie I placed a little gift card using the Tiny Envelope die with a small enclosure card. 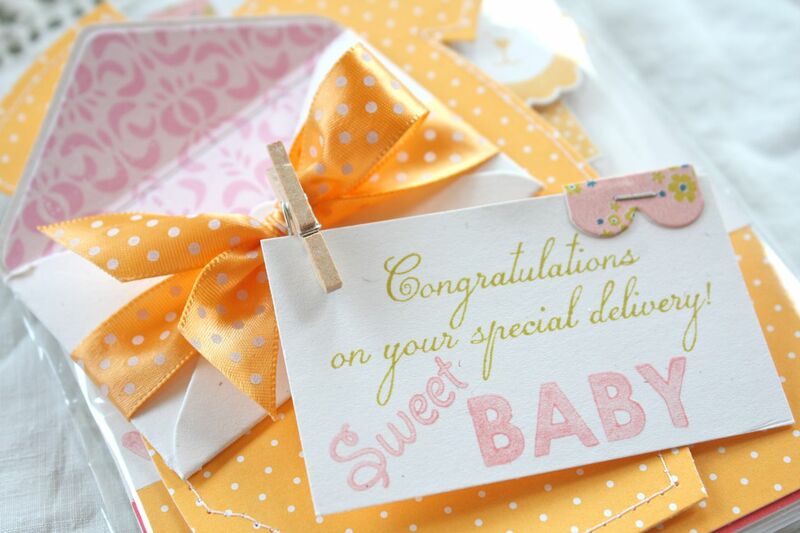 The green script sentiment on the card is from Bundle of Love, also being introduced into the baby lineup this month. A little ribbon + a tiny clothespins + a snippet of stapled on paper adds pretty little details to the ensemble.